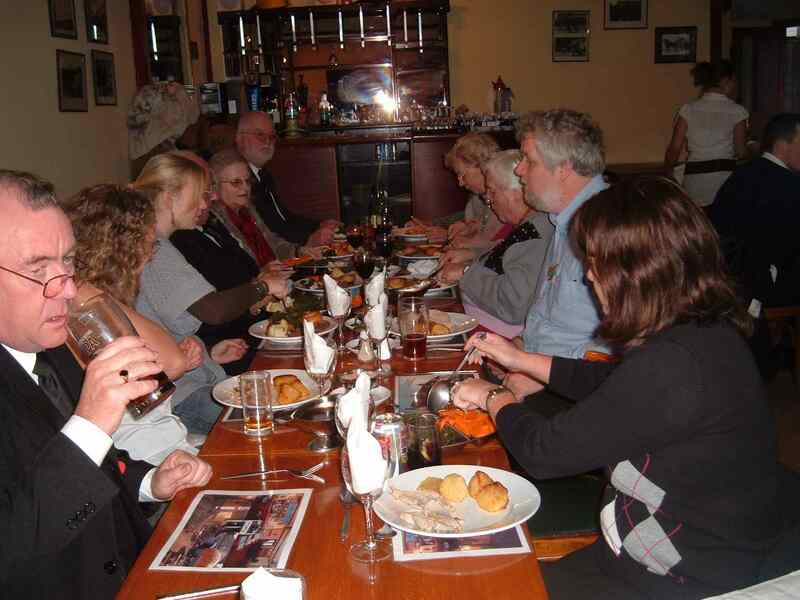 Following a tradition established some time earlier in the Twinning Association, 2008 saw another chance to experience a cultural exchange with reciprocal visits to attend the Remembrance and Armistice commemorations. 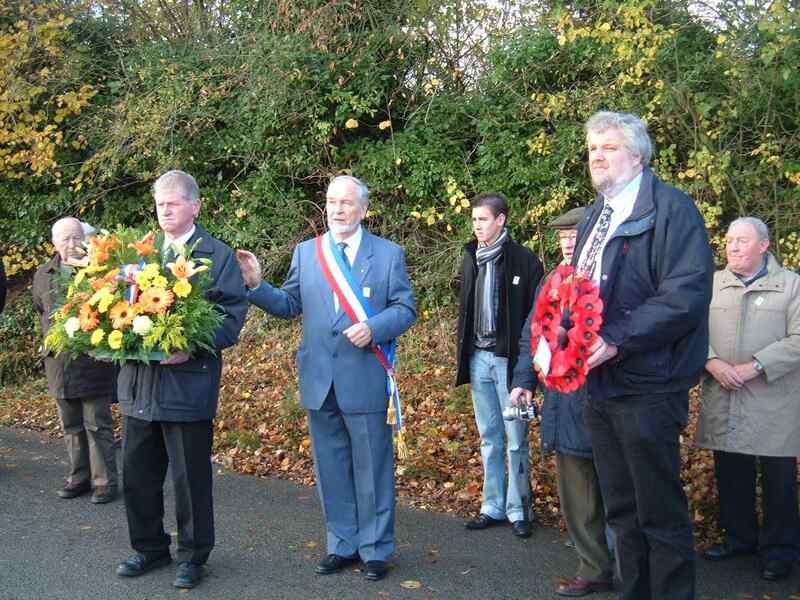 On Sunday November the 9th the Chairman of the Longpré Twinning Association, Jean-Marc and three Ancien Combattants with their wives (Michel, Alain, Daniel, and respectively Annie, Gisèle and Odette), visited Eastry to attend the Remembrance Day parade and service. Arriving in good time for the service, the guests were made welcome at Graham and Teresa’s for coffee and biscuits and provided with poppies before making their way to the church. 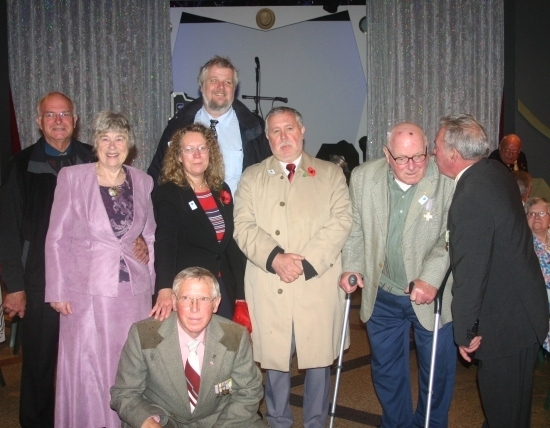 The three soldiers, veterans of North African and Indochina campaigns after WWII, were invited to join the march to the church with members of the Eastry branch of the Royal British Legion, headed by Tex Rickard. 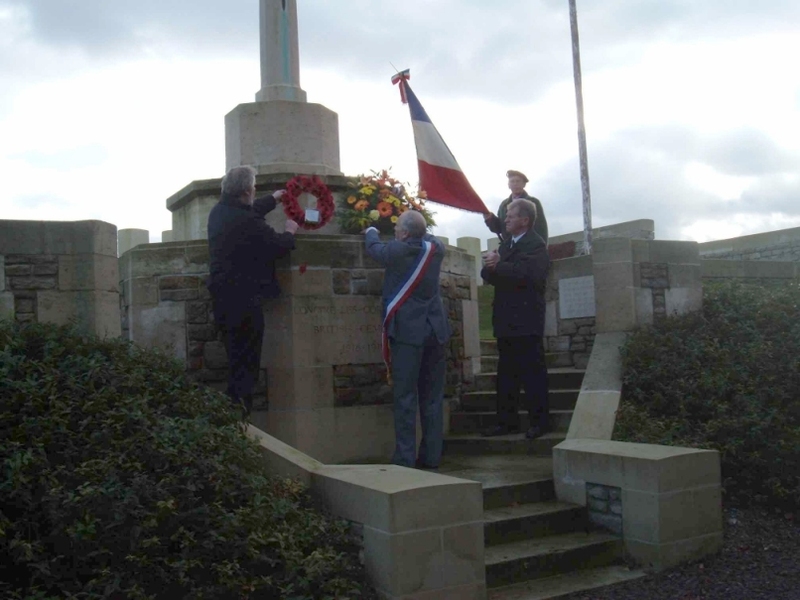 A service followed the wreath laying ceremony at the War Memorial where the French guests were welcomed by Rev’d Jennifer Pilcher. Coincidentally, the daily reading was being given by Mr Claude Whistler who spoke fluent French, so he took a few moments to welcome the guests in their mother tongue. 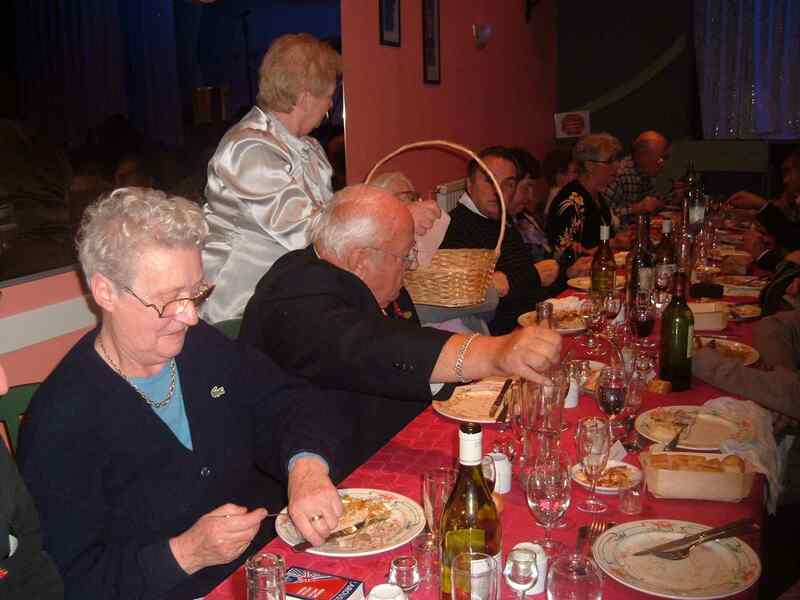 (He also remained behind after the service and chatted at length to the visitors, which was much appreciated by them). After the service we had arranged to have a traditional Sunday lunch at the Old Fire Station, the function room attached to the 5 Bells. 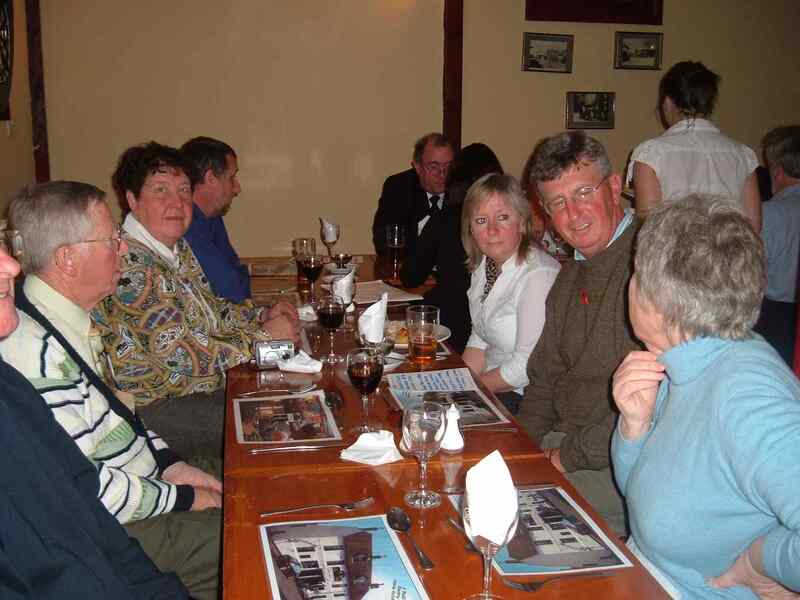 In all, 19 of us settled down for an excellent meal and this was followed by some musical entertainment in the bar, with a local pianist giving us some tunes on the pub piano. The last couple of hours were at the Smith household for drinks, coffee, cakes and a chat before the visitors departed for the ferry home. We were all pleased with how well the day had gone and we received some very favourable comments from the visitors including, from Michel the French Standard bearer, on leaving the church “Merci beaucoup, the church, it was fantastique, merveilleux ”. They were particularly taken by their inclusion and also by the participation of the different groups, from the ex-servicemen to the brownies and beavers, and all the others in between. The various groups await their turn to place a wreath. 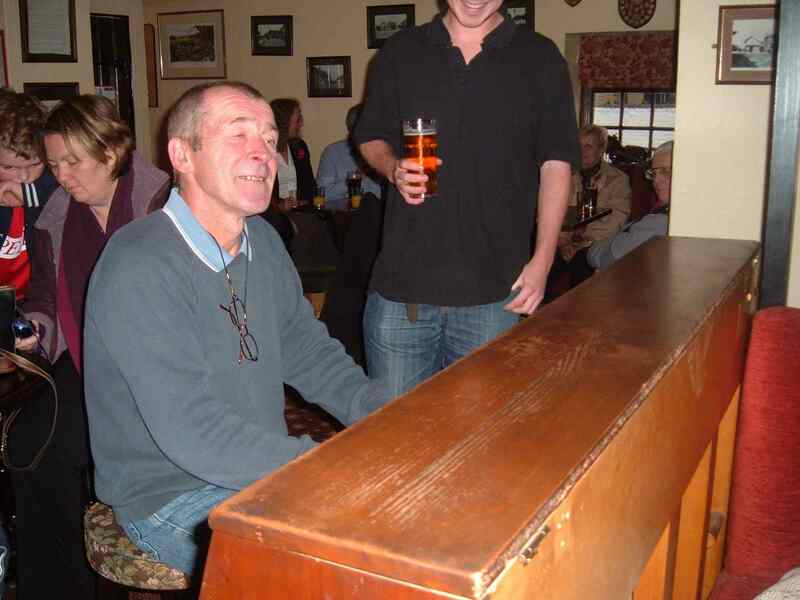 Sing along with the pub pianist. An early start was required to guarantee arrival in Longpré in time for the Armistice Day ceremony. We left Eastry at 05:00 to get to the shuttle, and so we were quite tired and hungry by the time we arrived at Jean-Marc and Patricia’s house for coffee and croissants (with home made brioche and cherry conserves as well). Refreshed and revitalised we made our way to the Commonwealth cemetery in Longpré to lay a wreath and observe a minute's silence before heading off to the church for the service. 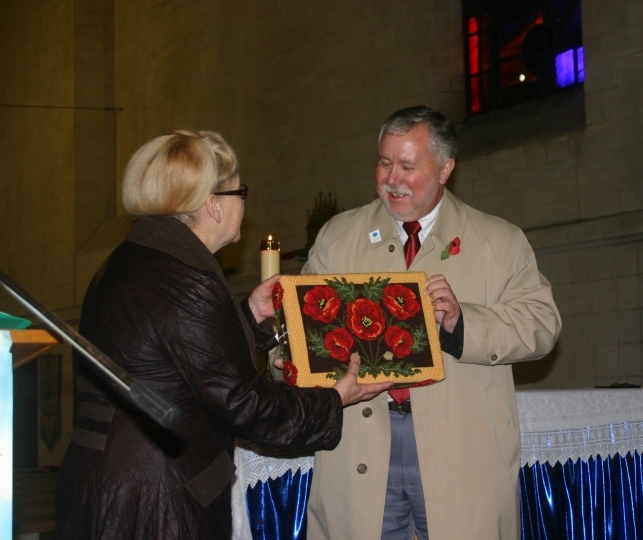 At the start of the service Terry James presented a hassock (kneeler) decorated with poppies* to the church at Longpré, as a mark of friendship between the two communities and to commemorate those who suffered in the cause of peace. 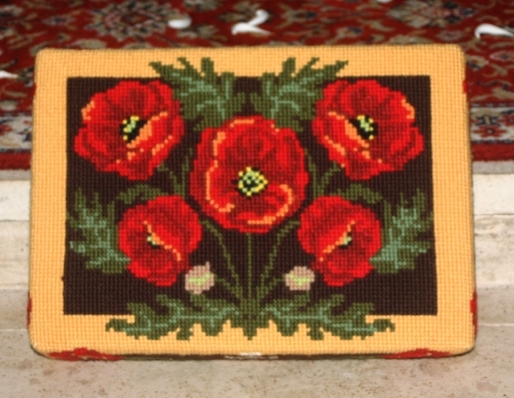 * Grateful thanks go to Jenny Stone of Eastry WI who painstakingly did the cross stitch work on the hassock. "Nous voudrions présenter cette petite marque de votre amitié a votre église. Ce coussin, décoré de pavots, symbolise le souvenir du tout ceux qui ont souffert dans la cause pour la paix". 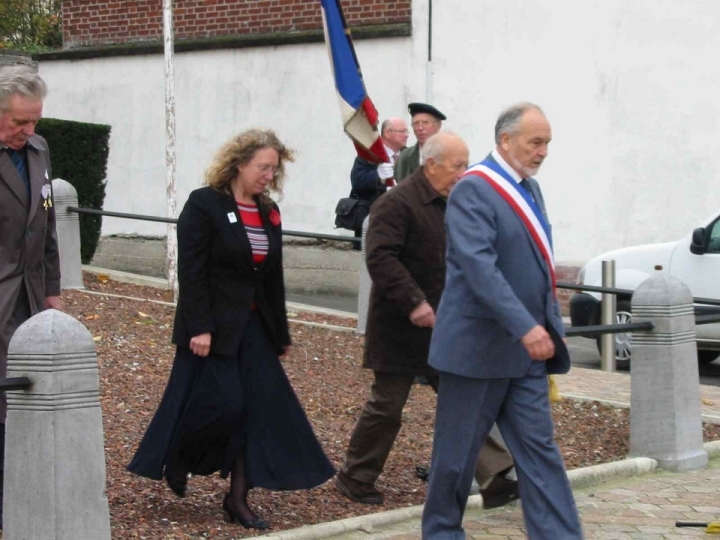 After the service the congregation made its way to the Hotel de Ville in the centre of the village to collect the floral tributes and begin the procession to the War Memorials, firstly we visited the monument commemorating the dead of 1914-18 and then on to the WWII monument. 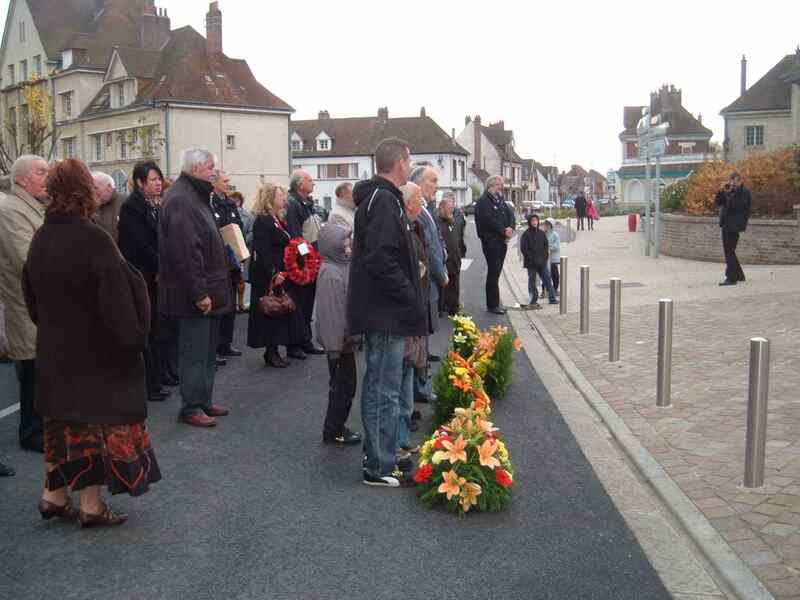 Speeches were made at each by the Mayor René Cailleux and others and the flowers and wreaths laid, Lesley placing the Eastry wreath at the first and Robin at the second memorial. The procession then returned to the Hotel de Ville where we were all invited inside to the function room for drinks and snacks. The formal ceremonies were now over and after the drinks we were told we were being taken to a restaurant for lunch, a somewhat misleading description of what was to follow. Jean Marc lead the way to 'Le restaurant du Canard' in the nearby village of Hangest-sur-Somme.Apart from a couple of diners visible through the window the restaurant looked quite quiet but once inside we realised how big the place was. 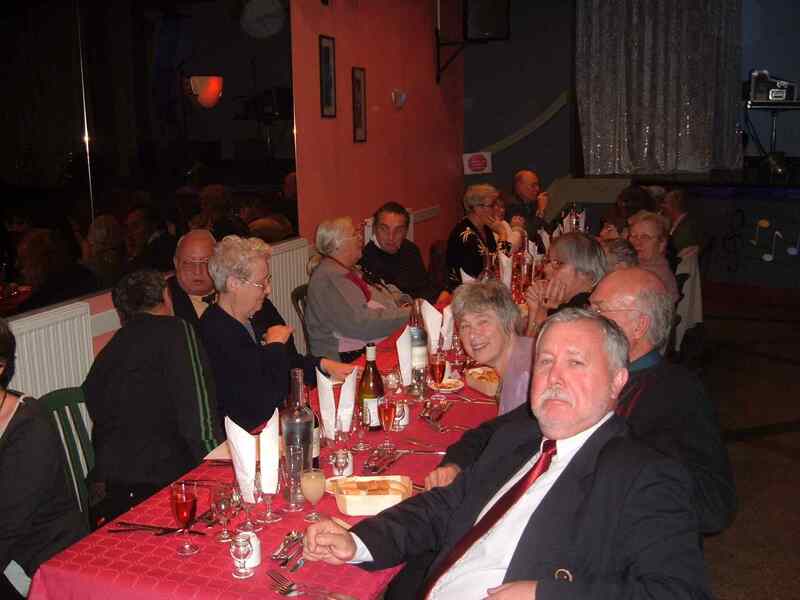 There was a function room at the rear and already seated were approximately 100 guests, people from 4 neighbouring villages had got together for 'Dejeuner des Anciens Combattants' and it looked very impressive. 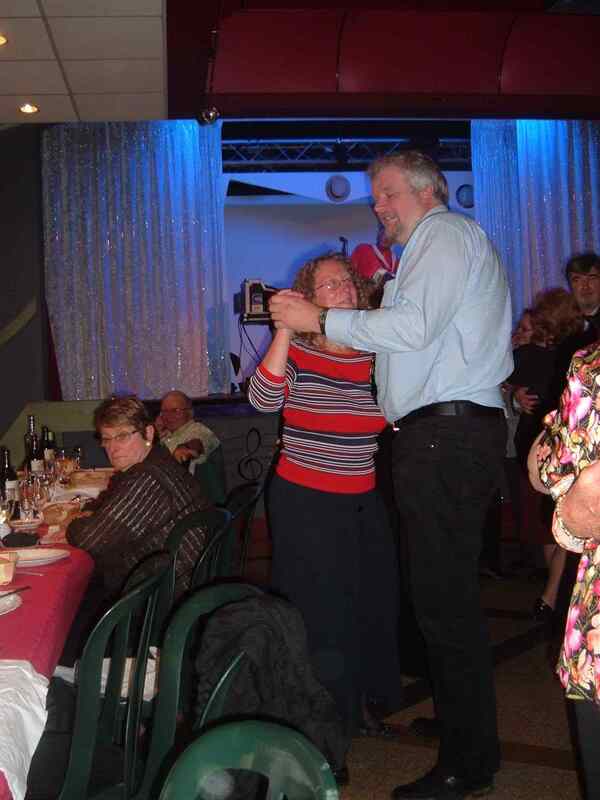 The menu showed just what a treat we were in for, excluding the welcome drink or the coffee at the end there were six courses and a choice of red or white wines, all accompanied by live accordion music, it couldn't get much more French. To borrow from Michel, the French Standard bearer at the Remembrance parade in Eastry, it was our turn to comment "fantastique, merveilleux". 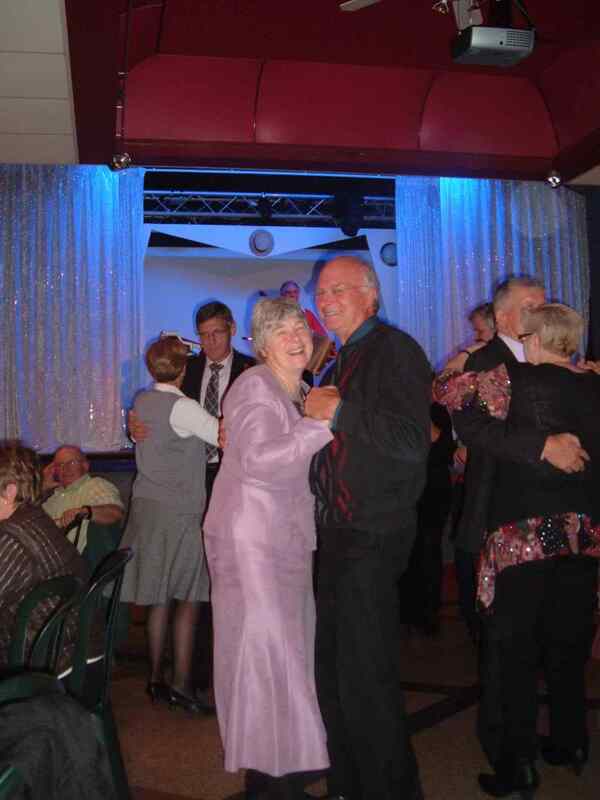 During the courses and afterwards everyone entered into the spirit of the afternoon and had a few turns of the dance floor but the time passed all to quickly and at about 6pm we had to leave to drive back to Coquelles and the shuttle back to the UK. We said our farewells and thanks for a fantastic day, we all felt honoured to have been received so warmly and welcomed to the function afterwards, it had truly been a marvellous day. Our sincere thanks go to all those who welcomed us and made us feel so at ease, it was for us a great pleasure and honour.